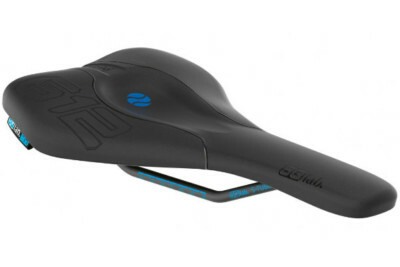 Budget ergonomic saddle for MTB and road use, available in a range of widths. The 611 ERGOWAVE® CrMo complements the ERGOWAVE® series of successes and impresses with a very good price to performance relationship. The new 611 ERGOWAVE® CrMo is offered with CrMo struts and without the well-known SQlab active technology. The persuasive ERGOWAVE® shape and the elevated rear for perfect rearward grip and optimal pressure distribution, even in the deep structures of the body, considerably improves the transfer of force to the pedals. 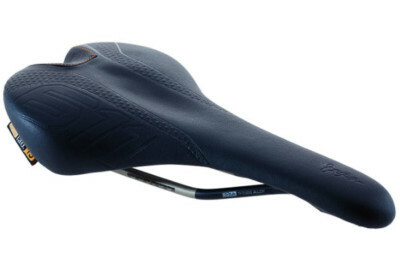 For pressure reduction, especially in extended ascents across terrain, the saddle nose on the 611 was conceived approximately 4 mm wider as compared to the 612, but just as flat and with the largest possible support surface. 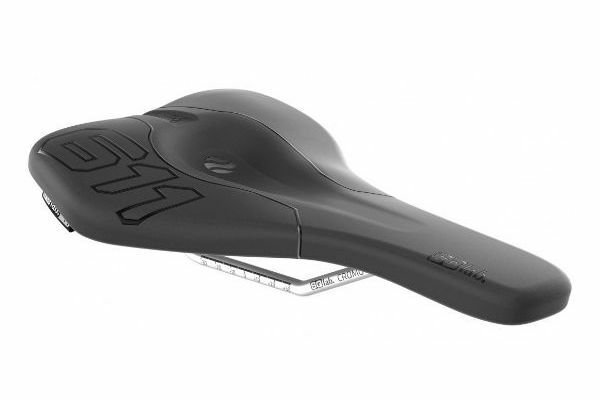 The cushion material was specifically adapted to the requirements of the MTB and provides more shock absorption on rough terrain as compared to the 612 ERGOWAVE® models. 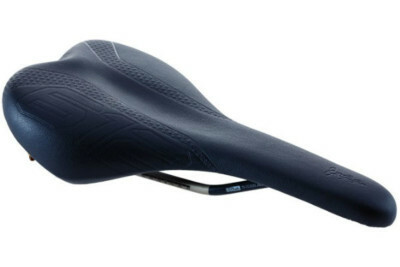 Due to its flex properties, the saddle is most comfortable up to 75 kg. The maximum load should not exceed 90 kg.